Vijay is busy with his next movie "Puli". The forthcoming Tamil movie is directed by Chimbu Devan. It is a mega-budget project produced by Shibu of Thameen Films and PT Selvakumar. The movie, which boasts of big names like Sudeep, Sridevi, Hansika Motwani and Shruti Haasan in the key roles, is in the shooting stage. Now there are news doing rounds about the storyline of the fantasy entertainer. As Kollyinsider reported earlier, Vijay's central character in the film will be that of a cartoonist. Reports says, the fantasy entertainer is all about characters drawn by cartoonist Vijay coming to life. Is the story familiar? We wouldn't be surprised if you have. Remember the famous TV series named Shaka Laka Boom Boom? Well, if speculations are to be believed then Puli will be something similar to that in a much larger scale of course. There are no limitations to an artist's imagination they say, so Puli might take us into the imaginary world of a cartoonist. Another version of the story that's been doing rounds is that the film will be loosely based on the Hollywood flick Jumanji. 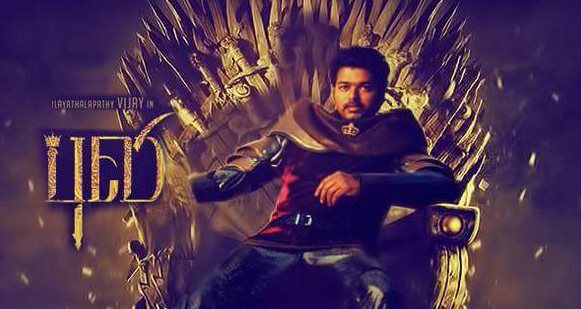 In Jumanji, the protagonist will be taken into different time periods and hence Puli might see Vijay traveling to different era's. Sources close to Vijay's 58th film have also confirmed that Vijay will be shooting for a present day scenario in Kerala inside a museum for the next few days. "Puli" is expected to hit the screens in July 2015. After the completion of this film, he will be heading for an untitled film directed by Atlee Kumar of "Raja Rani" fame.